We made these for Kyle’s younger sister’s “Welcome to Dallas/Goodbye to Little House on the Missouri Prairie” party. 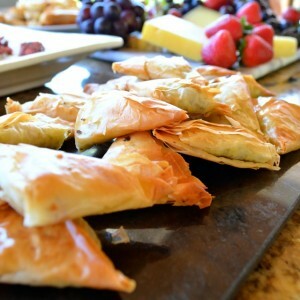 These and a few other hors d’oeuvres that we’ll be posting soon. The shindig was mostly attended by our ‘mo friends who notoriously steer clear of carbs, dairy, and anything that requires hours of self-loathing gym therapy to rid themselves of… However, not a single puff was left… other than our friends. 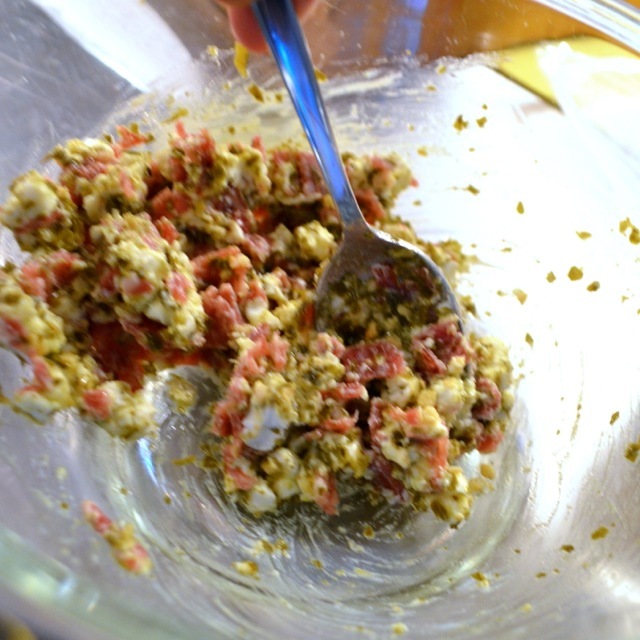 In a bowl, mix together goat cheese, salami and pesto until well combined. 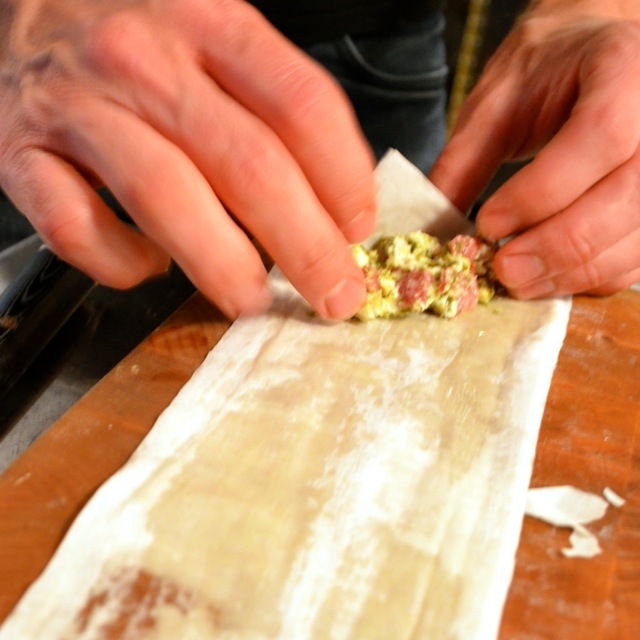 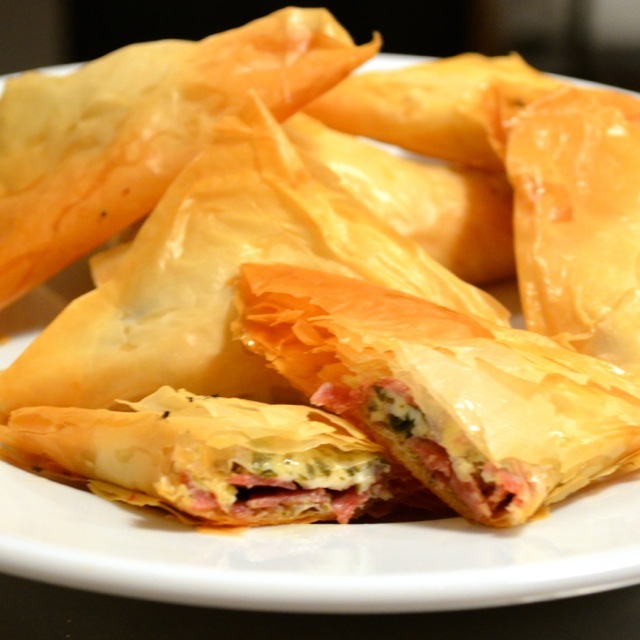 Lay phyllo out on a counter, and using a pizza cutter, cut out strips that are about 1 1/2″ – 2″ wide and 6″ long. 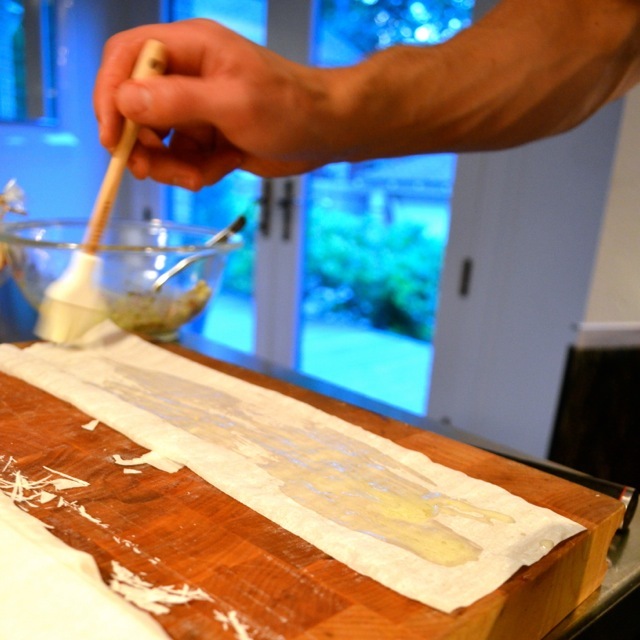 Brush one strip with melted butter, top with another layer, add more butter and finish with a third and final strip. Place about a teaspoon of goat cheese mixture on end of stacked strip, then fold corner over to create a “triangle” fold. 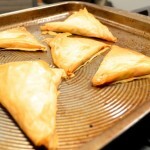 Continue folding up until you reach end of dough, brush puff with butter and place on an ungreased cookie sheet. Continue until all cheese mixture is gone.